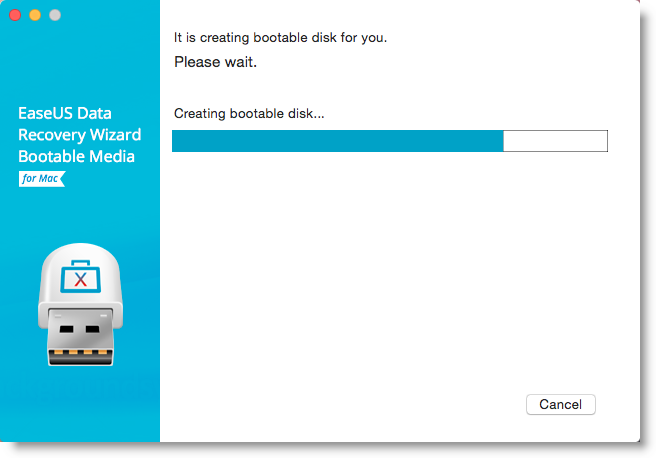 The Bootable Media is mainly used to recover data from the device when the computer failed to start or the lost data is saved on Mac system drive. It allows you to create a bootable disc on a USB drive, so you could set the computer to boot from the disc and start the data recovery. Currently, Mac OS 10.13 is not supported to create Bootable Media, so you need to burn the media in Mac OS 10.7 - 10.12. A USB flash drive is necessary for creating the bootable device. 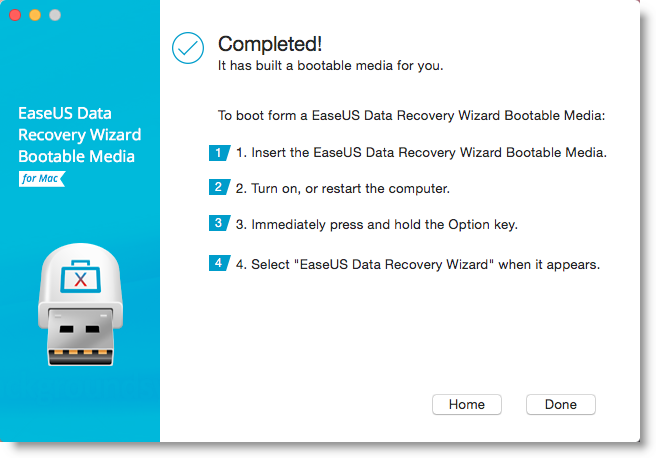 Run EaseUS Data Recovery Wizard for Mac, select File -> Create Bootable USB. Choose the USB flash drive to create the bootable disc. 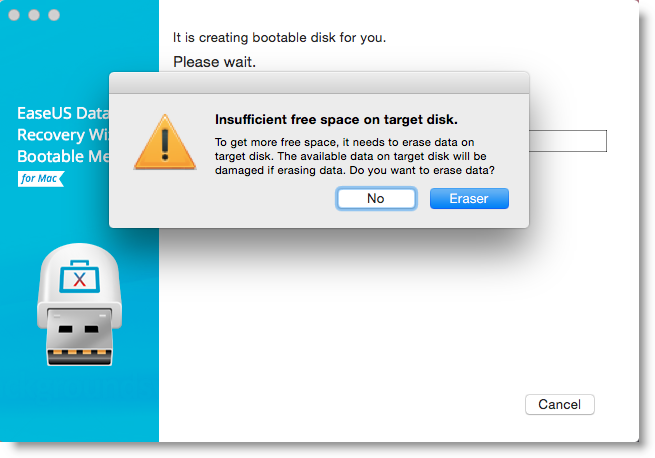 The creator will prompt to erase the drive to reallocate the space, then it can write the bootable files to this drive. Please back up all files on the USB drive before processing "Eraser". The program starts to create a 2GB space and save the boot files. The rest space on the USB can be still used for storage. Once it completes, please follow the guide to boot the computer from the bootable disc and start the recovery. Just follow the steps in the screen to boot from the Bootable Media. 1. 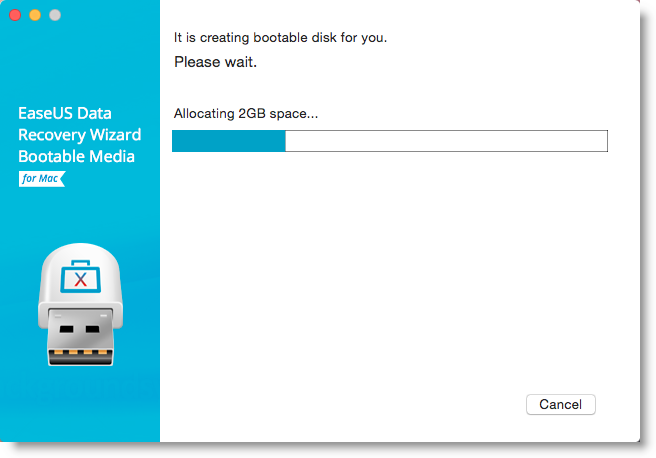 Insert the EaseUS Data Recovery Wizard Bootable Media. 2. Turn on or restart the computer. 3. Immediately press and hold the Option key. 4. 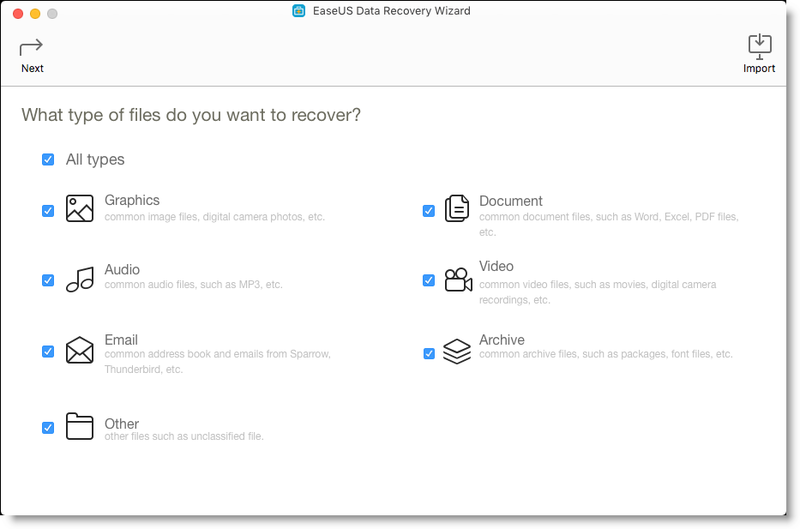 Select "EaseUS Data Recovery Wizard" when it appears. 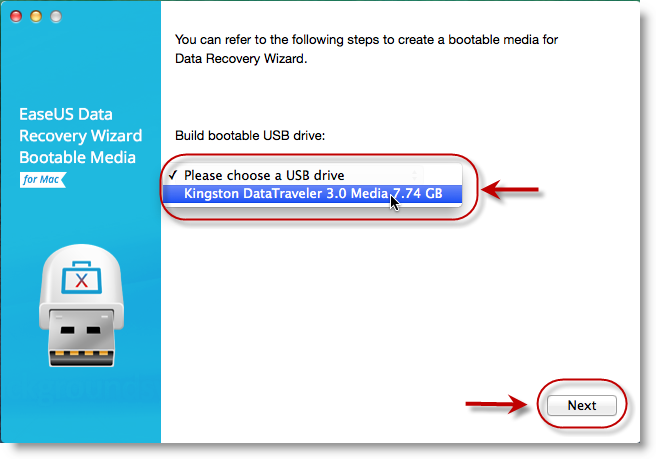 After Bootable Media loaded, follow the guide to start data recovery. You just need to make some simple choice which file type to recover and where to scan in the whole data recovery wizard, and then our product will start the scan and show you what it has found.